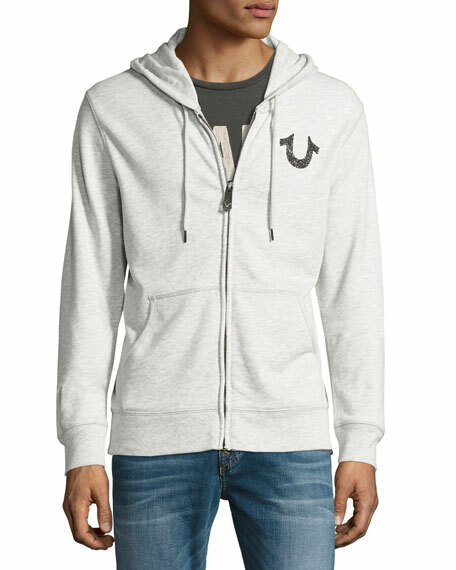 True Religion sweatshirt with signature horseshoe on chest and logo design on back. Founded in 2002 by Jeffrey Lubell, True Religion made its mark with American-made premium denim jeans inspired by the 1970s. Today, the collection has expanded beyond denim to include casual looks in a variety of fabrics for men and women, along with accessories and a hip line for children. For in-store inquiries, use sku #2116263.